﻿Is the Queen coming to town? Well probably not, but its amazing how streets lined with Bunting can really help set the mood for your event. Even better, why not get your sponsors/commercial partners involved and use it for advertising space! Here at EpicOrange we offer four grades of bunting, Paper, Synthetic Paper, Polyester and Long life Outdoor bunting, all in a range of shapes/sizes. Triangular or Rectangular shaped paper bunting pennants sewn onto strong white polyester webbing. This Paper bunting is suitable for indoor use only. Typically sold in 10m lengths with 24 pennants per length. Bespoke size pennants and lengths also available if required. Triangular or Rectangular shaped Synthetic Paper bunting pennants sewn onto strong white polyester webbing. 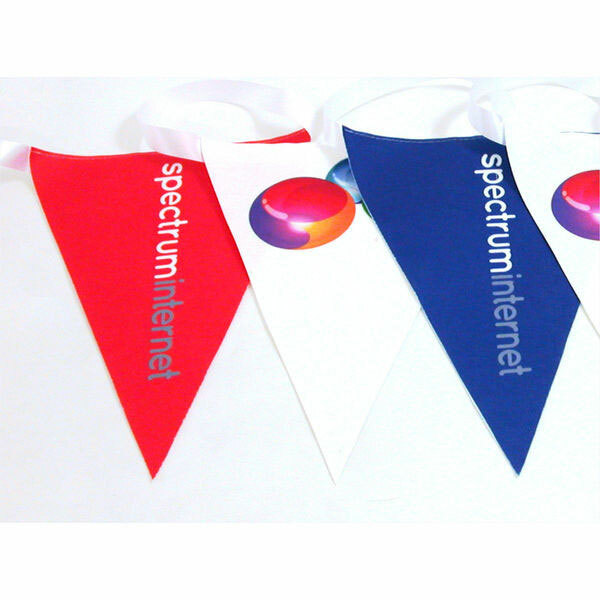 This Synthetic Paper bunting is suitable for indoor or temporary outdoor use. 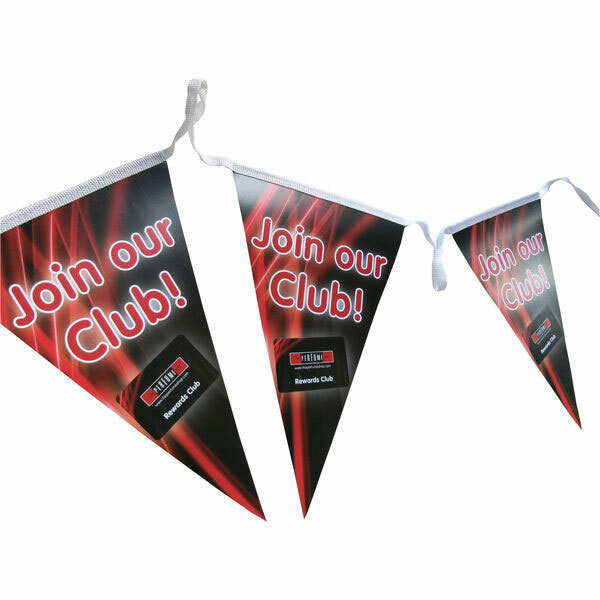 Polyester Pennants Suitable for Indoor & Outdoor Use. Single Sided Print with Show Through (Mirror Image on Reverse). 10m lengths with 24 pennants. 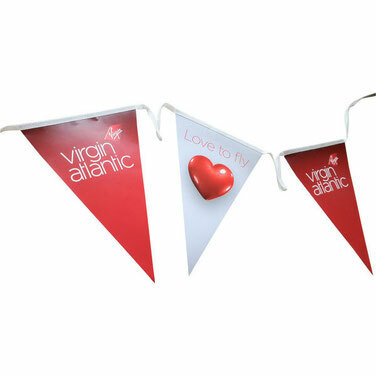 Outdoor Bunting is what is required if bunting is going to be left outdoors for longer periods and is completely weather resistant but with top quality digital and litho printing.